Welcome to Audi Clearwater. We're proud to offer a variety of attractive service specials year round to provide savings to our customers in the Tampa Bay area. Coupon must be presented at vehicle write-up. May not be combined with any other offers. Includes reading and reporting trouble codes. Additional charges may apply. May exclude some models. Other restrictions may apply. Void where prohibited. Price deducted off any resulting repair or service. Complete Auto Detailing, and More! You've already invested in your automobile. Now use our professional Audi services to help maintain your vehicle in the best possible condition. Routine maintenance services play a vital role in extending the useful lifespan of most vehicles. Audi Clearwater appreciates the importance of achieving customer satisfaction. We seek to perform our work capably, so you'll derive ongoing benefits from a properly maintained vehicle. We offer money-saving Audi service coupons in order to assist our customers. Whether you use our services on a regular basis, or you visited our site for the first time today, take a few moments to read through the available offers, sometimes these types of discounts make obtaining necessary automotive services much easier. At Audi Clearwater, we make pleasing you our highest priority! When you respond to Audi Clearwater service specials advertised on our website, you'll gain the assurance of knowing that fully qualified, highly trained automotive professionals perform work on your vehicle. We employ high standards in selecting our service technicians. These individuals have taken the time to learn how to care for a variety of makes and models of vehicles effectively. 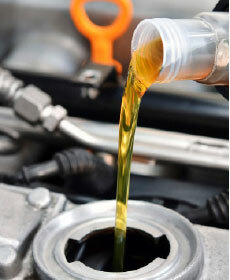 When you visit our dealership to obtain routine Audi services, bring us your questions and concerns. We love to hear from our customers! 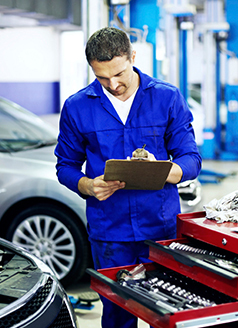 We'll make sure we keep you fully informed about our observations of your vehicle's condition. By seeking regular, routine maintenance from Audi Clearwater, you'll help keep your automobile in the best possible operating condition. Schedule an appointment now!